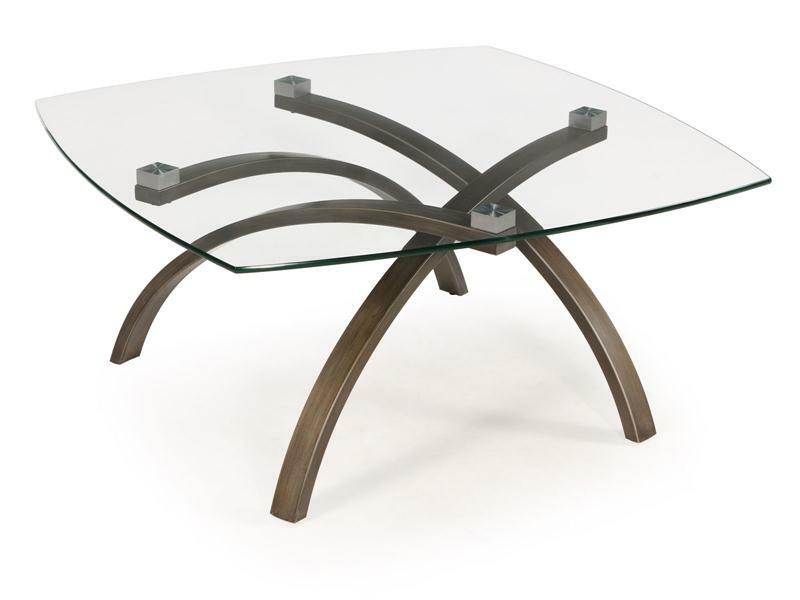 As you inspect the sweeping intersecting lines supporting the pencil edge top of the Frisco Occasional Table Collection, you have to ask yourself, “How did they do that?” With sleek brushed bronze legs fused to the tempered glass with brushed nickel cubes it’s still a mystery, but definitely a modern treasure!. Materials: 10mm glass top with pencil edge, Metal, Fused metal pucks. All pieces are constructed of 10mm clear glass top over painted metal base, connected by square metal pucks.